Dr. Vincent Francisco is Kansas Health Foundation Professor of Applied Behavioral Science and Senior Scientist with the Schiefelbusch Institute for Life Span Studies. He is also Director of the Center for Community Health and Development, a World Health Organization Collaborating Centre at the University of Kansas. In his work, he uses behavioral science methods to help understand and improve conditions that affect population health and health equity. Dr. Francisco published widely in the areas of health promotion, capacity building, and community-based research and intervention. He is co-developer of the Community Tool Box, a widely used Internet-based resource for promoting community health and development. Dr. Francisco brings expertise and experience to implementing community–based research, especially for prevention of HIV and chronic disease. He has years of experience mentoring undergraduate and graduate researchers and practitioners with community-based organizations throughout the United States and abroad. He was a member of the Adolescent Medicine Leadership Group, Chair of the Community Prevention Leadership Group, and a member of the Executive Committee of the NIH Adolescent Trials Network for HIV/AIDS Interventions from 2003 through 2011. He was also an Associate Director for Research for the TRIAD EXPORT Center for Health Disparities (P20) at UNCG, funded by the NIH National Institute for Minority Health and Health Disparities. 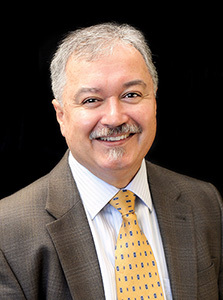 Dr. Francisco has considerable experience in the research and evaluation of community-based intervention programs focusing on adolescent development, reduction of risk for HIV/AIDS, teen substance abuse, youth violence, teen parenthood, and chronic/cardiovascular diseases. He also has considerable experience provision of technical support for the development of coalitions. He works with community initiatives to help them build capacity for systems change, create environments in which those organizations can succeed in accomplishing their mission, and evaluate those interventions within an open systems environment. View Dr. Francisco's vita in Adobe Acrobat format.